GO! Overseas picks Ciao Amalfi as #2 Blog in Italy! Yesterday morning I woke up to wonderful surprise in my email inbox! Ciao Amalfi was selected by the great website GO! Overseas as #2 in their list of Top 10 Italy Blogs. A tremendous resource for information on teaching, studying and volunteering abroad, it is a real honor to be selected by GO! Overseas as a blog that gives readers a real taste of daily life here on the Amalfi Coast. If you’re interested in learning more about meaningful travel to Italy, or locations around the globe, I highly recommend exploring GO! Overseas. You can check out the The GO! Overseas Blog or find them online on Facebook and Twitter. Many thanks to the Andrew and Mitch at GO! 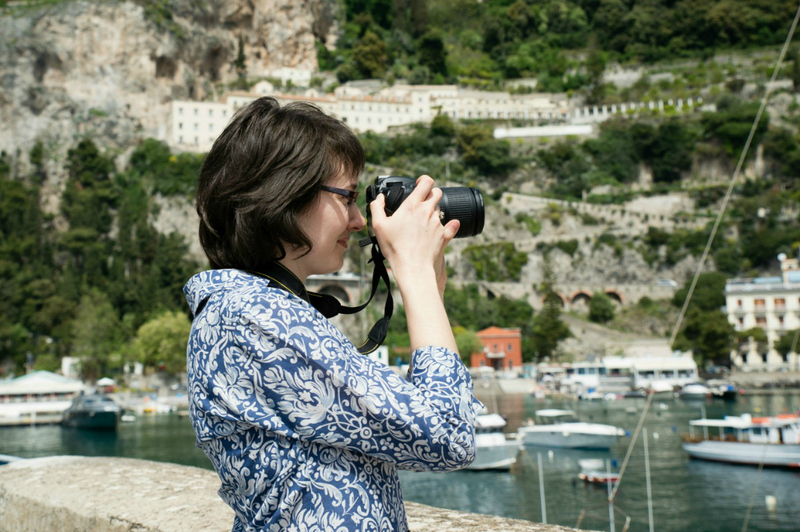 Overseas for selecting Ciao Amalfi as one of their Top 10 Italy Blogs! Blogging from the Boot Winner!! Thanks to all of your votes over the past week, this morning I am happy to announce that my post, Every Sunday Evening, was selected as the winner for the Buon Viaggio category in the Blogging from the Boot contest. You can find out all the winners here on the AffordableCallingCards.net website. Congratulations also to Scintilla over at Bell’Avventura who won for the Paparazzi: Expat Photography category for her beautiful photos of the Pathway of the Gods above Positano. Go Amalfi Coast!! Many thanks to everyone for the votes! I wish I could share my artisan chocolate from Perugia with all of you. Yum! Ciao Amalfi is a Blogging from the Boot Finalist! I was so exciting to learn yesterday that my post titled Every Sunday Evening that I wrote last August about the weekly bocce games near my house was selected as a finalist in the Blogging from the Boot contest. This contest has been co-hosted by the lovely ladies Cherrye at My Bella Vita and Tina from Tina Tangos. What an honor to be selected as a finalist out of the great group of Italy expat bloggers out there! Click here to read the entries and VOTE!! There are three finalists in each of the seven categories, so there is something to interest all readers. My post is in the Buon Viaggio: Living and Traveling in Italy category. Voting will be open through Friday, February 5 at 5:00 PM, Italy time. Thanks so much & happy reading! One year ago I started my blog with this hopeful and honest post featuring the above quotation by Anais Nin. After throwing my dreams way out there over and over again during the past year, I have indeed met many new friends, created a new life for myself as a freelance writer and fallen in love all over again with the Amalfi Coast. It has been quite a year! I want to express my gratitude to my dedicated readers, many of whom have become cherished friends, and to those who have helped me so much along the way. Every day I am reminded in one way or another just how happy I am that I started Ciao Amalfi! To celebrate the one year blogiversary of Ciao Amalfi, I want to give you all a peek behind the scenes about some upcoming changes here. I am in the process of redesigning the blog with a new domain name, and I hope to launch the fun new layout later this month. Since I don’t know at all what I am doing (don’t worry… I’m an expert at not knowing what I’m doing…) there might be a few bumpy moments as things get transferred and redesigned. I will be expanding and reorganizing my links during this time as well. Please feel free to contact me at ciao.amalfi@gmail.com if you have any comments, suggestions or links you would like to share. During the redesign process my regular features like Tempting Tuesdays and Sunday Shout-outs will be on hold. But don’t you worry, regular posts will keep on coming!